With the new rules in the game of SEO, social media is a big player. In fact, how much your brand is interacted with across social media, meaning how much it is liked, shared, or commented on, means a lot to Google when it comes to where your site ranks in search results. We understand all this to be Facebook lingo, but there is more. You do not just want Facebook “shares,” but you want retweets, Pins, and +1s also. You want the whole shebang, and here is how to get content shared. How do You Get Content Shared? Shareable content is useful. It tells the reader something it didn’t know. 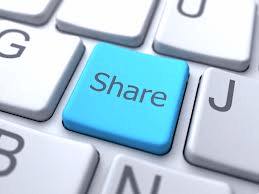 Just because it is worthy of sharing, aka “shareable,” doesn’t get content shared. What makes a reader actually go the extra mile? Connection and cause both get content shared. If readers feel a connection to the topic, or if it supports a cause they are passionate about, they are likely to want to share with others who may connect or share a passion or the cause. Posting about your business’s charitable endeavors works well, as does topics related to how your products or services help the customer. An example would be a cleaning service posting a topic about how being a mom is the hardest job there is, and there is simply not enough time in the day for everything a mom has to do. Make it fresh and empathetic, and mom’s everywhere will have that bad boy pinned. Create a buzz. Get people talking. It doesn’t have to be controversial. It can be as simple as stating your opinion, or an opinion, or even presenting two opposing viewpoints on a topic, and then asking the readers to weigh in. Once they do, they may very well share, pin, or retweet in an effort to get others that are likeminded to do the same. They want backup, or support, for their “side.” Instant shareability is created when you ask for feedback. After all, it is “social” media. Get them talking. While the actual content is the main ingredient in getting content shared, sometimes it may take a little extra push. What else can you do? Check out part 2 of this segment, here.